Last week I interviewed Jack Greenberg, one of the team of lawyers who argued the famous Brown v. Board of Education case, former Director-Counsel of the NAACP Legal Defense Fund, and now a law professor at Columbia. 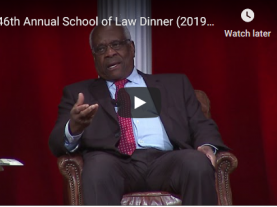 Professor Greenberg discusses the NAACP Legal Defense Fund’s strategy in Brown, the experience of arguing before the Court, the long road to segregation, and his friendship with former Justice Thurgood Marshall. 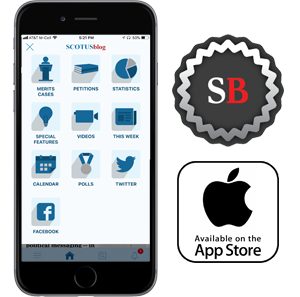 The eighteen-minute podcast of our interview, linked below, is the latest edition to our Race and the Supreme Court program. 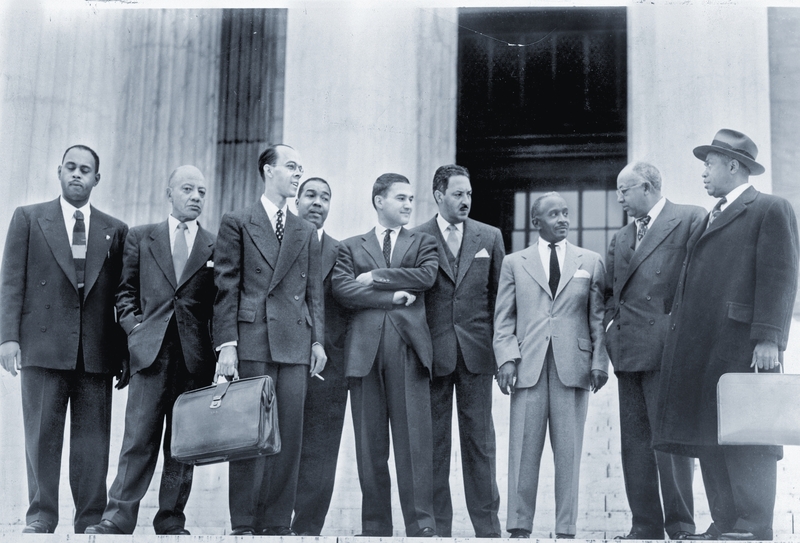 The team of lawyers who argued Brown v. Board: John Scott, James Nabrit, Spottswood Robinson, Frank Reeves, Jack Greenberg, Thurgood Marshall, Louis Redding, U. Simpson Tate, George Hayes. Photo courtesy of NAACP Legal Defense Fund. Those who watched the podcast earlier this week with Dean Chemerinsky may be interested to know that, toward the end (15:11), Professor Greenberg identifies nearly the same line of Supreme Court cases as Chemerinsky as having undermined Brown and led to re-segregation in public schools. An outline of highlights from the podcast follows the jump.